Tiger beetles (genus Cicindela) are among our most interesting insects. They have have ornately marked carapaces (shells), which lend them a beautiful, almost showy appearance, and some species are blindingly iridescent. Bold and adept hunters, most species are active during the day, and thus are somewhat easy to observe. But, just as their sharp vision aids them in spotting prey, it also keys them into us and tiger beetles can be hard to approach closely. Which makes the following photos all the more amazing. Sent to me by naturalist extraordinaire Warren Uxley, they are of Cicindela formosa. Too bad no one yet has made the effort to give all of these charismatic beetles - there are only about 100 North American species - interesting common names. But I don't know of one for this particular beetle. However, formosa means "handsome", and that would be an apropos moniker: Handsome Tiger Beetle. Cicindela formosa, a creature adapted for life on the run. At slightly under an inch long, it's not a heavyweight, but if you were a smaller insect caught out on the open sands, this would be your worst nightmare. Tiger beetles have proportionately massive jaws, and move in incredibly speedy bursts. Once suitable prey is spotted, it probably has little chance. Look at the legs on this guy! In addition to using those long legs for exceptional mobility, tiger beetles also use them as tools that assist in an interesting thermo-regulation technique called "stilting". When at rest on hot summer sands, they elevate themselves high off the substrate, sort of like a car being lifted on jacks. And thus get some relief from the baking sands below. Look at the striking markings of the upper shell. This showy intricate pattern is no doubt what inspired Thomas Say to name the species formosa when he described it in the early 1800's. Oh, that's the same Say for whom the Say's Phoebe is named. Like his ornithological counterpart Alexander Wilson, who was dubbed the "Father of American Ornithology", Thomas Say was called the "Father of American Entomology". Say was quite the all-around naturalist - a very rare breed these days - and described many other animals other than insects to science. Some of the birds first described to science by Say, in addition to the aforementioned phoebe, include Western Kingbird, Lark Sparrow, Lazuli Bunting, and Orange-crowned Warbler. Finding tiger beetles is akin to discovering showy, colorful living gems, or panning up a gold nugget after lots of looking. They aren't very common, and seldom occur in large numbers. Once spotted, the observer must employ his patience and wits to make a close approach. If successful, the beetle-hunter will be well rewarded with the opportunity to admire a fascinating insect, both in appearance and habits. Thanks to Warren for tracking this beast down, and sharing his amazing photos from his recent safari to the Oak Openings. Eastern Screech-Owls are everywhere. Because they are so strictly nocturnal, few people other than knowledgeable birders see them. But, the uniformed often hear these small owls. Their weird, quavering whistles are certain to catch any ear, especially at close range, and the listener won't be able to help but to wonder what the source is. Suburbia or wildlands, it makes no difference. There'll likely be screech-owls nearby. In fact, it's likely that no one reading this is further from a mile away from one of these eared owls, and probably much closer than that. For instance, participants on the 1981 Toledo Christmas Bird County tallied 112 owls in the 24-hour count period. This in only a 15 mile diameter circle! 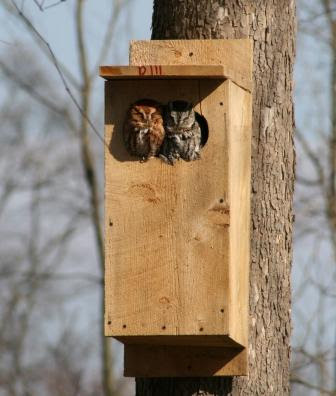 Jim Dolan from up in Columbiana County sent along a few fascinating photos of some Eastern Screech-Owls. The photographer was Kathy Dyke, and I'm grateful to her for letting me use them here. This is one of the coolest photos I've seen of this species. They have appropriated a nest box that was built specifically for one of Ohio's rarest breeding birds, Common Merganser. 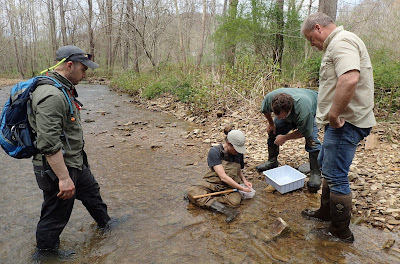 Little Beaver Creek, which flows through Columbiana County and is one of Ohio's most pristine streams, supports Ohio's only breeding population of these saw-billed fish-eating ducks. In an effort to bolster merganser populations, Jim Dolan and compadres have installed a number of these boxes. Like Wood Ducks, Common Mergansers are cavity nesters. 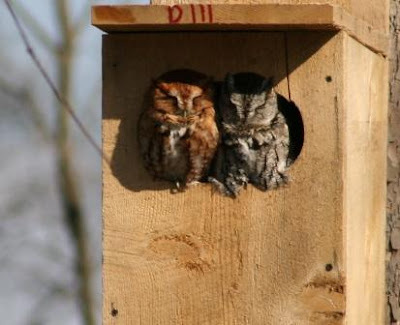 What's more amazing is that this pair is of mixed morphs - both a red and a gray screech-owl. Data shows that gray morphs become increasingly common northward in Ohio, while reds and grays are about equally common in the southern part of the state. But, you don't often see the two together like this! There is a rare brown morph, intermediate between the two. Perhaps we'll get a brown bird from these two, who knows. Columbiana County is one of the most beautiful areas in Ohio. It is full of interesting breeding birds, and there are probably lots of interesting and unexpected finds to made there. 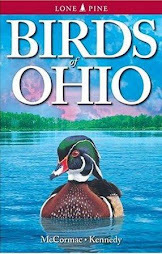 With that in mind, Jim Dolan has organized a "blockbuster" for Columbiana County as part of the ongoing Ohio Breeding Bird Atlas II. It'll be the weekend of June 7 & 8. I'm going up, and I believe Atlas coordinator Aaron Boone is too, along with a number of other birders. Should be an interesting and fun time. If you would like to participate, we'd like to have you. Just flip me an e-mail at: ambrosia@columbus.rr.com and I'll get you details. I've spent some time the past few days searching for one of the coolest plants in Ohio. I'm lucky in that the only known populations are within 15 minutes of where I live. Spreading Rock Cress, Arabis patens, is an outstanding little mustard that is an obligate saxicole; it must grow on exposed rock faces. And therein lies the rub. Invasive plants like rocky ledges, too, but more on that in a bit. Spreading Rock Cress is only known from a few limestone gorges along the west side of the Scioto River in Franklin County, and the populations are tiny. I think I've seen them all, and even found one or two, and I'd say that the total number of plants in the Franklin County gorges numbers maybe one or two dozen. Two days ago I visited a site that had several dozen ten or so years ago, and couldn't find any. This plant is slipping away before our eyes. Fortunately, a few years back Mark Dilley and I located a population just over the Franklin County line in Delaware County, which supports far more plants than all of the other sites combined. A visit there this morning located perhaps 80 individuals, but this site is also being invaded by weeds. The rich Scioto River floodplain was filled with a diversity of spring flora this morning, including many Large-flowered Valerian, Valeriana pauciflora, one of our showiest spring species. Typical Spreading Rock Cress habitat. These steep limestone gorges are one of the most interesting aspects of natural history in the Columbus area. Unfortunately, many of them have suffered the ravages of rock mining, overdevelopment, abuse from rock climbers, and increasingly, invasion by invasive plant species. This gorge is probably the least disturbed one around here. Spreading Rock Cress is not the easiest plant to get at. Taking good photos is often tough. Here it is - the little white flowered plants - adorning a small ledge some 40 feet above the creek, and in a nearly unreachable nook. Which is good; it's away from people and pickers, but still not safe from other overtaking plants. Here's a flowering specimen jutting out into space, high above a gorge I'd not want to fall into. Ohio plays a real role in the history of this extraordinary little mustard. Spreading Rock Cress was first collected and descrbed to science by botanist William Starling Sullivant in 1842. 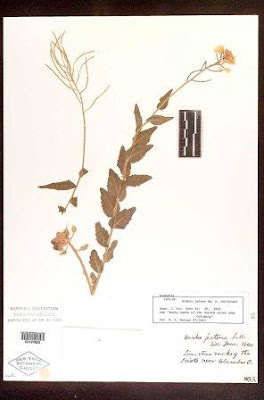 This is a photo of Sullivant's original specimen, collected 166 years ago and housed at the New York Botanical Garden. The label says "Limestone rocks of the Scioto near Columbus, O. 1842" We have no idea exactly where along the river Sullivant made this collection, but it was no doubt within a mile or two of where I took these photos this morning. Back in Sullivant's day, long before invasive plants and development, Spreading Rock Cress was probably a locally common species. Rare plants can be considered rare for a number of reasons. Some are merely overlooked. They are so obscure and so few people look for them or can recognize them that few reports are made. When an inspired botanist or two set their sights to really determining the range of some of these obsurities, they prove to be far more common than originally thought. Some are rare only in certain political boundaries where they are on the edge of their range. These are still vital to protect, but that's a whole different topic. Then there are the bona fide rarities. Spreading Rock Cress is one. It is a conspicuous, even showy, species that occurs only in a very well-defined and relatively easily searched habitat. There are no problems with confusion with similar species, and blooming plants stick out like sore thumbs. Spreading Rock Cress halfway up an inaccessible cliff face. Nonetheless, the bright white flowers can be seen from quite some distance. I use my binoculars when botanizing, too - something more botanists should do. Through my 8 x 42s, I can spot Spreading Rock Cress from extreme distances, and thoroughly inspect otherwise hard to study cliffs. Then, good cameras like my Panasonic FZ-30 with 12x zoom make it possible to document the find. Here's the main reason we're losing our rock cress. These ledges in the above photo no doubt used to harbor Spreading Rock Cress and other cliff-dwelling native species, but now are completely overrun with invasive plants. The worst, by far, is Garlic Mustard, Alliaria petiolata. It chokes cliff ledges, utterly pushing out native competitors. Others make their way on to the cliffs, too, like Amur Honeysuckle, Lonicera maackii. From above, nearby homes send down their escapees who jumped the garden wall, like English Ivy, Hedera helix and Wintercreeper, Euonymus fortunei. The latter two are vines that literally smother everything if they take hold. This map depicts the total distribution of Spreading Rock Cress. It is listed as critically endangered or extirpated (locally extinct) from nearly every state it occurs in. I wonder if there is anywhere left that still supports vigorous, healthy populations. It seems to me that this beautiful little mustard is a prime candidate for federal listing. The area of the New River Gorge Birding Festival is among the most biodiverse in the eastern U.S. Flora and fauna abound, and at at times on a nice spring morning one hardly knows where to look. We had some utterfly fantastic field trips this year, with lots of great birds. It wasn't only birds, though. My trip participants tended to be interested in nearly everything, so we took time to admire and learn about non-bird stuff, too. Dutchman's-pipe, Aristolochia macrophylla. This high-climbing vine draped the timber in one of the mountain forests that we visited to a degree I've not seen before. This area, known as Sugar Mountain, was packed with birds. We had great looks at Worm-eating, Kentucky, and Black-throated Green warbler as well as many more, in addition to Scarlet Tanager, various thrushes, the ever-popular Cerulean Warbler, several species of vireo, and on and on. In between all the avian action, our party saw scads of Pipevine Swallowtails - more than I've ever seen in any one locale. And with good reason. Their host plant, the Dutchman's-pipe pictured above, was abundant. Like most swallowtails, pipevines often course about high in the treetops, and are large enough that many a birder briefly confuses them for birds as they scan the canopy seeking out small warblers and other songbirds. After a bit, I spotted some of the interesting flowers of the aptly named Dutchman's-pipe. As they were high up and well out of reach, a little West Virginia ingenuity was employed to secure one of the high-climbing vines and procure some flowers. These flower-pickers, who are normally quite macho, shall remain nameless. They eventually prevailed over the vine, rewarding us with good, close looks at the odd blooms. One can see where the name Dutchman's-pipe stems from. Soon afterward, we spotted this newly emerged Pipevine Swallowtail low on the stem of a May-apple. It's wings were still hardening and the insect fairly glistened with vibrant hues of blue, orange, and blackish-purple. Sugar Mountain was truly a feast for the eyes this day, with all of the winged wonders whirling about. If you've not been to this part of West Virginia, I hope you can attend next year's New River Gorge Birding Festival. A smashing good time was had at the OOS's fourth conference, held at the magnificent Mohican State Park Resort. The festivities began last Friday, and we wrapped everything up yesterday. In the process, all of the birders on various field trips radiating out through the region picked up about 140 species, including many a life bird for many a person. I want to thank everyone who does such a wonderful job making these enjoyable and memorable events, particularly Jen Sauter, who truly is masterful at orchestrating these affairs. A big thanks to all who so generously donate their skills and time; you know who you are, and so does everyone that was there. A pastoral scene near Mohican. Although this conference is mostly about forest birding, we hit other habitats, too. In the habitat above, we found Grasshopper, Savannah, and Vesper sparrows. At the other extreme, we hit dense shady hemlock gorges littered with massive sandstone slump blocks calved from towering cliffs. Many excellent boreal breeders, quite rare in Ohio, were found in the gorges. Some of these included Canada and Magnolia warblers, Blue-headed Vireo, and Winter Wren. During pre-conference scouting, we turned up an alfalfa field full of Bobolinks. Before heading along to our field trip locales, most groups stopped by to take in the spectacle of the R2-D2-like bubbly gurgles of testerone-riddled males courting admiring females. In the process we found and got great looks at other goodies like Northern Harrier and American Pipit. My field trip co-leader was Peter King, OOS treasurer. He had just purchased an outstanding new scope from Time & Optics, and like an infant with a new teddy bear, he lugged it everywhere we went. Which was good, as we had everything from Orange-crowned Warbler to Scarlet Tanager to Bobolink to Indigo Bunting filling the view-finder for all to admire. I snapped this shot of an obliging Swainson's Thrush through Peter's prized possession. We also had great evening field trips, which included bat-banding in the Mohican gorge. Merrill Tawse, bat researcher extraordinaire, graciously accommodates our trips, assisted by his son and other volunteers. Bats are fascinating and certainly misunderstood, and Merrill does a tremendous job educating people about them. This is a Northern Long-eared Bat that they caught in their mist nets. Looks a bit like a furry Mr. Spock. We all had the wake up call of wake up calls when, at 6:04 on Sunday morning, an alarm system malfunctioned, tripping the alarm system. 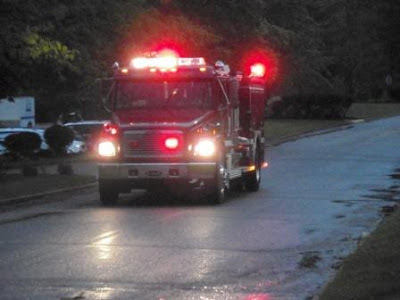 Not knowing it was a malfunction at the time, the entire lodge evacuated. All of the local volunteer fire departments came on over for a look, too. Lemonade came from these lemons, though, as that false alarm held us up just long enough for the rain to quit, and by the time we got in the field the great out-of-doors had turned into the most glorious spring weather possible. And I'm sure we'll look back on that uncalled for wake-up call with fond memories, eventually. Photo by Ernie Cornelius. Waiting for clearance to re-enter the lodge for breakfast are Dudley Edmondson, left, and Michael Packer. Dudley gave an outstanding program on Saturday evening featuring some of the finest nature photography to be found. A Duluth, Minnesota resident, Dudley travels the country making photographs, and shared his recent journey to Nome, Alaska with us. He finished his program with an overview of his book, Black & Brown Faces in America's Wild Places. Dudley is at the forefront of encouraging minority participation in outdoor activities, and shares that message eloquently. Michael, as last year, delivered a stellar evening program on astronomy, greatly aided on both evenings by night skies that were clear as a bell and studded with stars. Photo by Ernie Cornelius. Our other speaker were Dana Bollin and Bill Thompson, both of whom were awesome. I'll try and share other photos of them and others later, and talk more about the conference. Watch for a detailed write-up in the next Cerulean newsletter, along with photos. A big thank you to all who came, and in addition to all of the Ohioans from Cleveland to Cincinnati to Whipple, we had participants from Kentucky, Michigan, and Arizona. I just returned from an interesting meeting where we plotted out what will probably become the 2009 OOS conference, in conjunction with another should-be-phenomenal event. We look forward to announcing the details of the '09 affair soon - stay tuned! Mark your calendars! If you like butterflies, you’ll not want to miss this first-ever conference. Shawnee and the Edge of Appalachia preserve offer some of the best butterfly-watching north of the Ohio River. Racking up a list of over 60 species during the course of this weekend isn’t out of the question, and many species will be found in huge numbers. In addition to an abundance of common species like Spicebush Swallowtail, Red-spotted Purple, and Great Spangled Fritillary, much rarer butterflies can be found. These include Hayhurst’s Scallopwing, Gemmed Satyr, Juniper and White-M hairstreaks. This region of southernmost Ohio can also be great for finding good numbers of southern immigrants like Cloudless Sulphur, Little Sulphur, Sachem, and Checkered White. We are pleased to have Jaret C. Daniels, author of Butterflies of Ohio, as the Saturday evening keynote speaker. Dr. Daniels is a noted butterfly conservationist, professional photographer, and avid field researcher. Both Saturday and Sunday feature field trips led by experts, focusing on finding maximum butterfly diversity. These trips should be an excellent chance to improve butterfly identification skills, learn more about butterfly natural history, and maybe even see some new species. 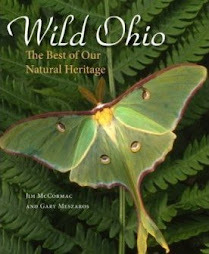 As added perks, plant and bird enthusiasts will be wowed by some of the most incredible biodiversity found in Ohio. See http://www.flora-quest.com/butterflies.html for more information and updates. Many a person has been shocked to spot a brilliant orange-red salamander boldly stalking about the forest. After all, most salamanders are shy and retiring in the extreme; some of our most seldom seen animals. Turning over rocks and rotting logs is the usual modus operandi for finding these secretive beasts. Why would a salamander shun the wallflower ways of their brethren, sport a coat of flashing crimson, and bravely march about during the day, every bit as conspicuous as Liberace in full regalia. Eat a Red Eft and you'll find out. Most things that are brightly colored and conspicuous are unafraid, and with good reason. Efts are protected by toxins, and most potential predators know it. Thus, no fear. This works to our advantage, as non-eft-eating humanoids can admire Red Efts up close and personal. Efts tend to be most active during and after showers, when the forest floor is damp, as it was in West Virginia where I took this shot. The Red Eft is but one stage of the life cycle of one of our most interesting salamanders, the Red-spotted Newt, Notopthalmus virescens. After the tadpole stage comes the eft, which lives for two or three years in this stage, as we see above. Completely terrestrial, the efts ensure ready dispersal over long distances and to new breeding pools, thus constantly mixing gene pools. Once the free-wheeling eft reaches a suitable pond, it enters the water and transforms into the adult Red-spotted Newt. In all, individuals can live for up to fifteen years. Adults look nothing like the bright Red Eft. They are greenish, have a laterally compressed tail like a muskrat, and are completely aquatic. It is also one of few salamanders often found in ponds with fish, as newts are also toxic and unpalatable to piscivorous predators. I've seen adult newts in ponds many times, and they always remind me of little fish themselves, swimming about quite gracefully. So, if you are fortunate enough to bumble into an eft, look, but don't eat. Just getting back in the swing of things after romping all over Appalachia for the past ten days, with a visit to Lake Erie for International Migratory Bird Day yesterday. Internet access has been spotty, which was no problem as I didn't really have time to be posting/e-mailing/blogging anyway. A break from the "net" is a really nice thing, anyway. It's amazing how reliant many of us have become on techno-geekery. Following a fantastic time at the 2nd annual (we hope) Flora-Quest, I dashed straight off to what has become perhaps my favorite locale in eastern North America, the New River Gorge and vicinity of West Virginia. 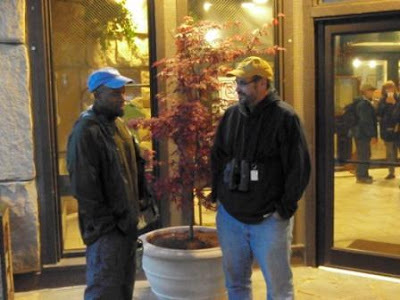 There, I participated in the New River Gorge Birding Festival. This event is possibly the best of its type that I've been to, and I highly recommend it. Mark your calendars for next year - April 26th is the starting date, and it runs through May 2nd. Do the whole thing, or just part, you won't be sorry. I had one free morning, and took full advantage to run up to a magical place known as Cranberry Glades, high in the mountains of the Monongahela National Forest. This is one of the field trip sites for the festival, and a coveted assignment for the guides that lead trips. Never having been there, I was filled with anticipation at exploring this area. Cranberry Glades is legendary botanically, as it harbors disjunct boreal flora rarely seen this far south. At one time, when our climate was much colder, tundra-like plant communities ranged much farther south along the high crests of the Appalachians. As the climate gradually warmed, more temperate forest communities steadily advanced up the mountain slopes, eventually overtaking the northern boreal flora. The Glades is one of few remnant bog-like habitats remaining. One instantly notices a conifer quite unusual this far south. Red Spruce, Picea rubens, dominates and creates a taiga-like habitat that harbors many outstanding breeding bird species. 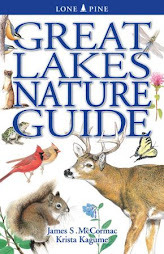 Canada, Black-throated Blue, Black-throated Green, Blackburnian, Nashville, Mourning, and Magnolia warblers, Northern Waterthrush, Red-breasted Nuthatch, Purple Finch, Hermit Thrush and others are all easily found. Red Crossbills also nest in the area. And plenty of others. The Glades is a birding paradise. The open meadows at Cranberry Glades Botanical Area, as it is known. A half-mile boardwalk traverses this most interesting of Appalachian habitats. My first spin around, it took me two hours to make the loop. The scenery up here is breathtaking. Cold and moist the morning of my visit, wispy fumaroles of mist curled from the distant mountain slopes. Like smoky spectors, these plumes would come and go; diverted momentarily by a bird or plant, I would glance back and the whole landscape would have changed appearance. Black Bears are often seen foraging in these meadows. Here's the namesake of the place. I was surprised to see that the dominant cranberry is Small Cranberry, Vaccinium oxycoccos, not the commercially cultivated Large Cranberry, Vaccinium macrocarpon, although I did find a bit of the latter here and there. This elfin vinelet blankets acres, and produces these tiny, familiar berries. Not as succulent as its large counterpart, the bears nonetheless gorge themselves, I'm sure. As I traipsed about seeking flora and fauna, I was delighted to encounter a patch of Bog-rosemary, Andromeda glaucophylla, in full bloom. This woody shrublet stands but a foot or so tall, and typically occurs much further to the north. The swampy woodlands are a riot of interesting plants and birds. North meets south; dominant trees include Red Spruce, Eastern Hemlock, Tsuga canadensis, Yellow Birch, Betula allegheniensis, while the understory is snarled with tangles of Great Rhododendron, Rhododendron maximum. One need not look hard to find Fraser Magnolia, Magnolia fraseri, and Cucumber Magnolia, M. acuminata. Shown above are the massive leaves of False Hellebore, Veratrum viride, looking as if made of corrugated plastic. This whopper will grow to several feet tall, eventually. On the right is a tussock created by a Cinnamon Fern, Osmunda cinnamomea, an obvious fern of these woodlands. A real crowd-pleaser were flowering Painted Trillium, Trillium undulatum, perhaps the showiest trillium in North America. I look forward to a return visit to Cranberry Glades, and hope that you can come, too. If you want an interesting experience, I'd encourage checking out the New River Gorge Birding Festival. Last weekend marked the second of what we hope becomes an annual event. Flora-Quest is a botanical extravaganza held at Shawnee State Forest, with field excursions ranging throughout the forest and into the Edge of Appalachia preserve in adjacent Adams County. This year's event went exceptionally wel, I thought, in so small measure because of the hard work and skillful planning of Cheryl Harner and Paula Harper. Huge kudos to Kevin Bradbury and Jenny Richards at Shawnee State Park, too - we couldn't do it without their active support and participation. Likewise for all of the other volunteers, including many of the state's finest botanists. Scads of plants, including many great rarities, were found, as well as scores of birds, butterflies, and other organisms of interest. Not much time to blog now, I'm down in southeastern West Virginia for the New River Gorge Birding Festival, and have the pleasure of leading trips down here all week. Stunning by any standard is the scenery in these parts, and I'll toss up a few visuals from West By God later. For now, here's a few pics from F-Q. The rare Umbrella Magnolia, Magnolia tripetala, was just unfurling those gargantuan leaves against an otherwise largely leafless early spring forest. Last year's Flora-Quest saw the flora about a week advanced over what it was this year. Large Yellow Lady's-slippers, Cypripedium parviflorum var. pubescens, were just thrusting their odd egg-shaped flowers out, but most weren't quite ready. The Pink Lady's-slippers, Cypripedium acaule, on the other hand, were looking incredible. Almost shocking in appearance, with their rich bluish-purple flowers providing a stark contrast against the lifeless brown leaf litter, are these Dwarf Iris, Iris verna. These rarities are listed as threatened in Ohio, and were in perfect shape, Real show-stoppers, the colony along the roadbank just below the lodge inspired many a plant enthusiast to stop and check in for a look. Another real crowd-pleaser was the rare Appalachian lily known as Spotted Mandarin, Prosartes maculata. We caught it at peak glory, and this species was a "life plant" for many of the F-Q participants. In all, we must have seen well over 300 species of plants between all of the groups, and maybe 100+ birds, not to mention other interesting animals, especially on our night forays. I'll try and slap some other stuff up later. Thanks to everyone who came this year, and we'll hope to see you back next year.